May - denně mimo Po 9 - 18 hod. June - August - denně 9 – 18 hod. April, October - denně mimo Po 9 - 17.30 hod. September - denně mimo Po 9 - 17.30 hod. guided tour II. - zámecká kuchyně, 30 min. guided tour III. - soukromá apartmá, 90 min. 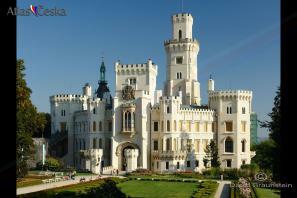 Hluboká and Vltavou Chateau are unquestionably one of the true pearls of the Czech Republic. It is situated on a hill above the Vltava river about 10 km north of České Budějovice. It was an early- Gothic castle originally, which had been constructed during the rule of Przemysl Otakar II in the second half of the 12th century. After the Przemyslaw dynasty had died off, the Hluboká domain was often pawned when the dynasties were running short on money. In the 15th century, Hluboká grew to be a center of the arising fishpond area. 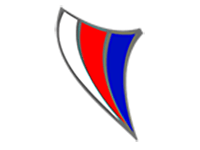 At that time Bezdrev established its fishpond as well. In 1562, Hluboká changed into a Rennaisance chateau. The chateau had never had a continual holder. The chateau was lucky in the 17th century, when it was bought by the Schwarzenbergs who were buying Třeboň chateau at the same time and kept it until 1947. In the time when the Schwarzenbrg family was holding Hluboká, the chateau was adapted twice again. Firstly, it was Baroque adaptation and the present appearance the chateau of the time of meridian Romanticism in 1839- 1871 and in Tudor Gothic style after the fashion of the English royal chateau in Windsor. It has got beateous interiors. For visitors there are 140 richly furnished rooms inside with eleven towers (the head is 60m high) with bastions. Near the chateau spreads a chateau park in English style. The collection is famous, in the chateau chapel is stored Netolic art from the 15th century. Furthermore there are paintings, ceramics, whiteware, glass and gun collections. The library in Hluboká is also very ample and worthy.